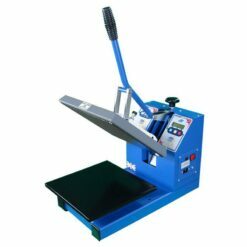 Designed by Stahls’ and proudly built in the USA, the Hotronix Auto-Open Sprint Mag heat press is not only a great value heat press, but offers all of the features you’d expect from a well-built heat press. The Hotronix Auto Open press has the same great features of the Hotronix MAXX press, but with with an automatic release of the upper platen without the need for an air compressor via a magnet-assisted lock down for maximum productivity with minimal investment. 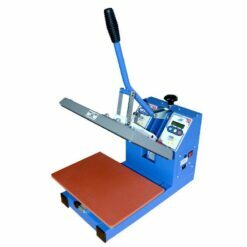 The Hotronix Sprint Mag Auto-Open heat press features the same digital time and temperature controls as MAXX, but with an additional Twin Timer which allows users to se+H30t two different time settings. The compact, clam-shell design also allows more space for multiple heat presses which creates optimised application environment.